What is Dormant and Inactive account? Dormant account Meaning. What is Dormant account or inoperative account? How to activate bank account through ATM or mobile/Net banking? 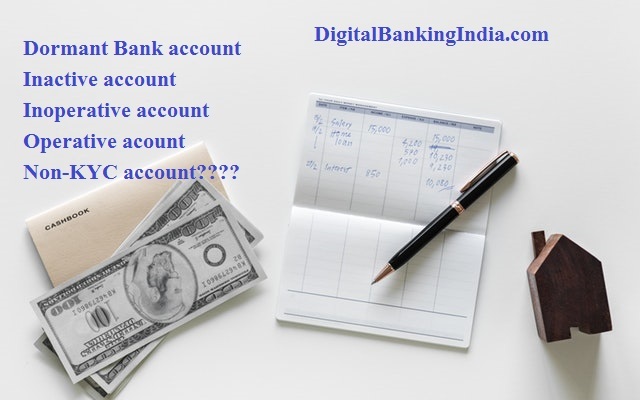 If you have an account in any bank, you do not withdraw cash by cheque, branch visit, ATM or any other digital mode transaction till one year, your account becomes an inactive account. Solution: How to change inactive to active account? Do at least one debit transaction by ATM, online or branch visit. Your account will become an active account. What is Inoperative account or Dormant account? If you do not do any debit transaction till 24 months, your account will become a dormant or inoperative account. What happens in the dormant account? Now you can not withdraw cash through any mode like ATM, online or visiting to branch or through cheque. Your account will be restricted. How can bank account be active from dormant status? Visit your base branch with latest KYC and your photo. Just give application for activation of the account. Your account will be operative or active. Now you can do any transaction. How can be escaped from this situation of Dormant account? Withdraw at least 100 rupees through ATM or online transfer by mobile or net banking. Your account will be active. How to get New SBI EMV chip Debit card?